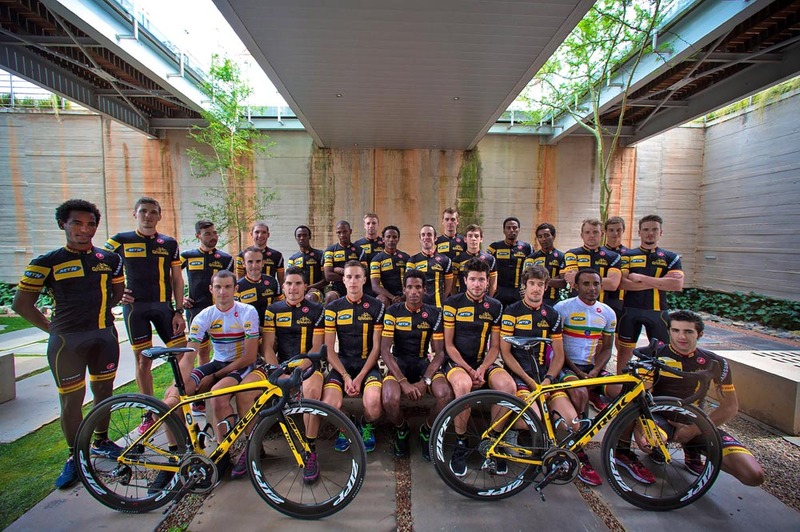 MTN-Qhubeka revealed its roster last week with its aim of becoming Africa’s first team in the Tour de France next July. “The Tour de France is our next chapter,” general manager, Brian Smith told Cycling Weekly. Team Principal Doug Ryder presented his team to media at the Spier Wine Farm, in the Western Cape of South Africa last week. In two years, the team in yellow and black has already made big steps. The South African team began in the second division in 2013 and immediately reached the top when German Gerald Ciolek won Italy’s Milan-San Remo classic. It applied to race in the Giro d’Italia and the Tour de France in 2014, but the organisers overlooked MTN for other wildcard second division teams. 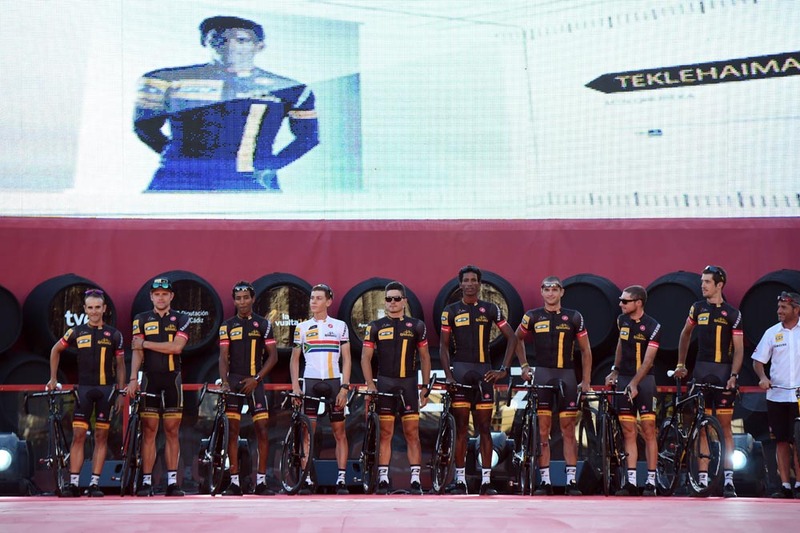 The Vuelta a España said ‘yes’ and welcomed the team to its race in August. MTN raced with a mostly African team that included four South Africans and two Eritreans. With a beefed-up squad for 2015, it hopes that organiser ASO will award it one of the four wildcard invitations to race the Tour de France. This winter the team signed several experienced riders from WorldTour teams: Edvald Boasson Hagen from Sky and Brit Steve Cummings from BMC, Theo Bos (Belkin), Tyler Farrar (Garmin-Sharp), Matt Goss (Orica-GreenEdge), Reinardt Janse Van Rensburg (Giant-Shimano) and Serge Pauwels (Omega Pharma-QuickStep). Smith could field Farrar and Boasson Hagen, both stage winners in the Tour, with young talents like South African Louis Meintjes and Eritrean Merhawi Kudus. Kudus placed second in the Tour of Langkawi in February and debuted with the team in the Vuelta in August. “Those young guys can step up. We brought in Serge Pauwels, who raced with Omega Pharma and Sky, to help them learn how to manage stage races,” Smith said. “Before, they may have thought that riding the Tour wasn’t going to happen, but now it’s becoming a reality. Their confidence is going up. Now they see Boasson Hagen, Bos and Goss joined, and becoming more comfortable with cycling at the highest level. MTN-Qhubeka will learn where they will race in January when both the Giro d’Italia and Tour de France organisers are due to announce their four wildcard teams. It already received a nod to race in ASO’s Tour of Qatar and Tour of Oman in February, which is a good indication that they will be considered for the Tour.